Everyone knows that summer is the Season for that delicious Frozen Treat, but being lactose-intolerant, vegan, or just not wanting to consume the calories makes some people hold back on enjoying such deliciousness. A few innovative food businesses are taking dairy-free to a new level with flavorful frozen concoctions that will cool you off and satisfy your sweet tooth at the same time. 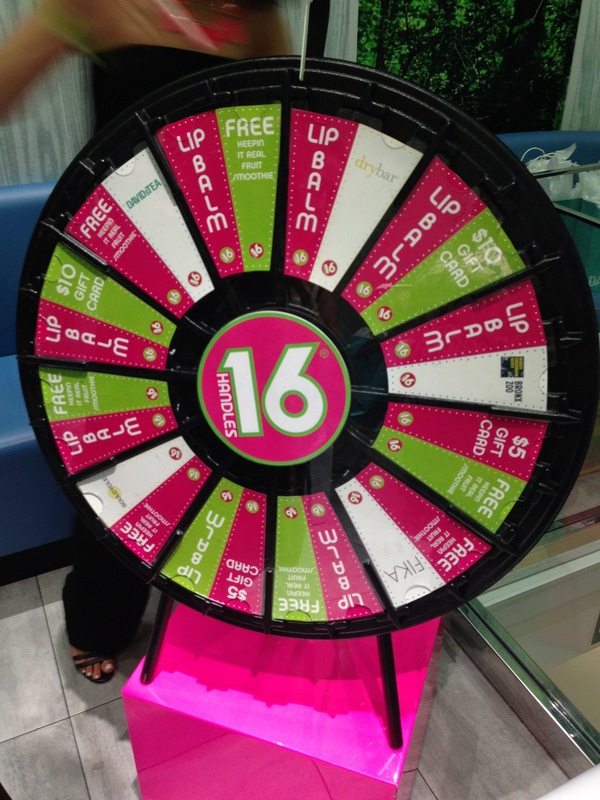 Step in 16 Handles! 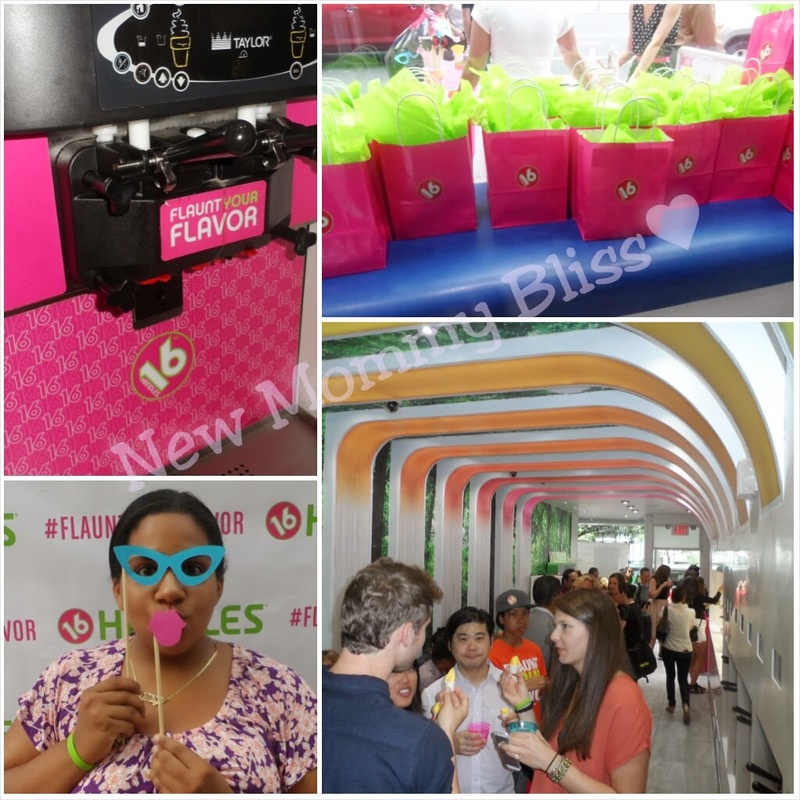 16 Handles is a New York Based frozen yogurt place that recently celebrated their 6th Birthday! What better way to celebrate a Fro-Yo Company's Birthday than with Unlimited Fro-Yo, Yummy Treats and Prizes! On July 16th, we were treated to Adorable and Tasty Macarons (Not to be confused with Macaroons) in the Official 16 Handles Color Scheme of Pink and Green. Along with some Tasty Kale Chips and salsa from the ItsKale Company, Some good ol' Champagne, and yummy and sweet coconut covered donut holes and cookies! 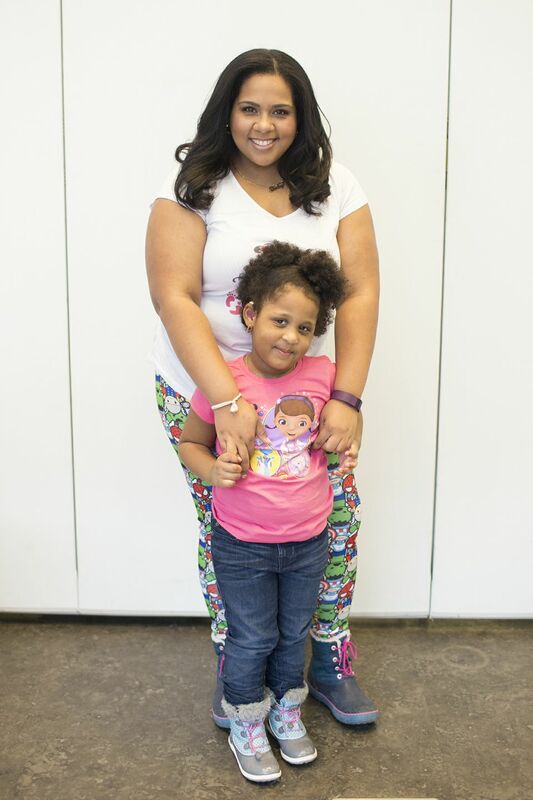 The Hip Fro-Yo party took place in One of 16 Handles' 42 stores, located at 240 Lafayette Street in New York City! One of 6 states in which 16 Handles has it's Stores! The Chain Carries 80 UNIQUE Flavors of frozen yogurt and although the stores do not carry all 80 on any given day, you are still in for a Tasty Surprise! Many of the flavors are Artisan, Low Fat, Fat Free, Vegan, Contains Gluten, Contains Nuts, have no sugar added, or are Dairy Free. A perfect Flavor and Choice for everyone! 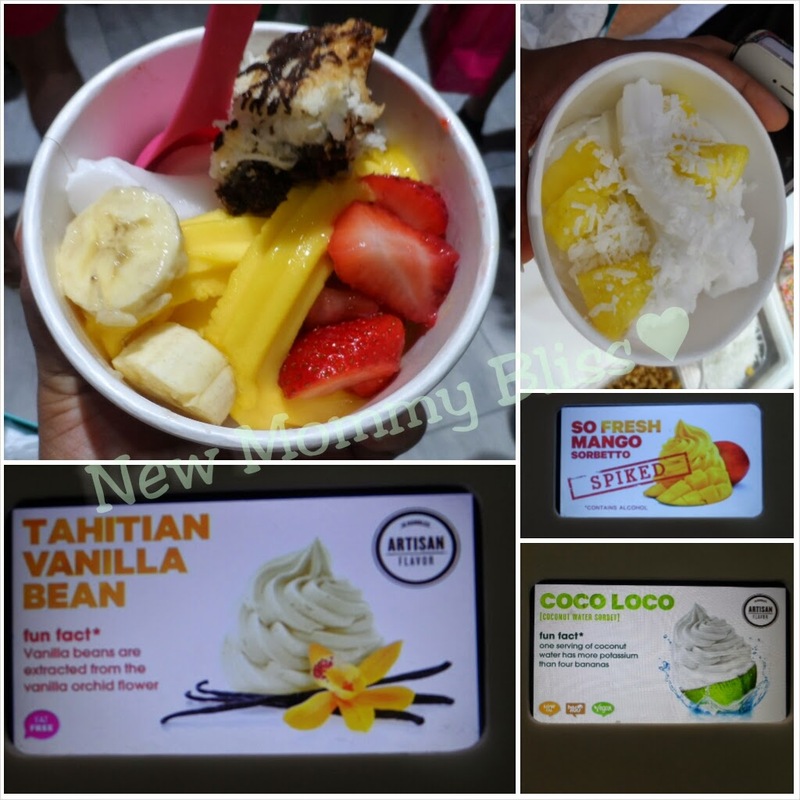 My 3 Go-To Flavors for the Day were Tahitian Vanilla Bean (Get This Every Time), SPIKED So Fresh Mango Sorbetto (This Spiked Version of the Mango Sorbetto was only available to us at the event and not at the Regular Stores), and Finally The amazingly Delicious COCO LOCO!! My First Fro-Yo Concoction was Very simple. Just some Coco Loco with cut up pineapples and Shredded coconut sprinkled on the top. It was Awesome, but I had to do something better. My Next Fro-yo Mix consisted of some more Coco Loco with SPIKED So Fresh Mango, along with some Sliced bananas, halved strawberries and a nice Chocolate Drizzled Macaroon! If I had more stomachs, I would've definitely kept on mixing! 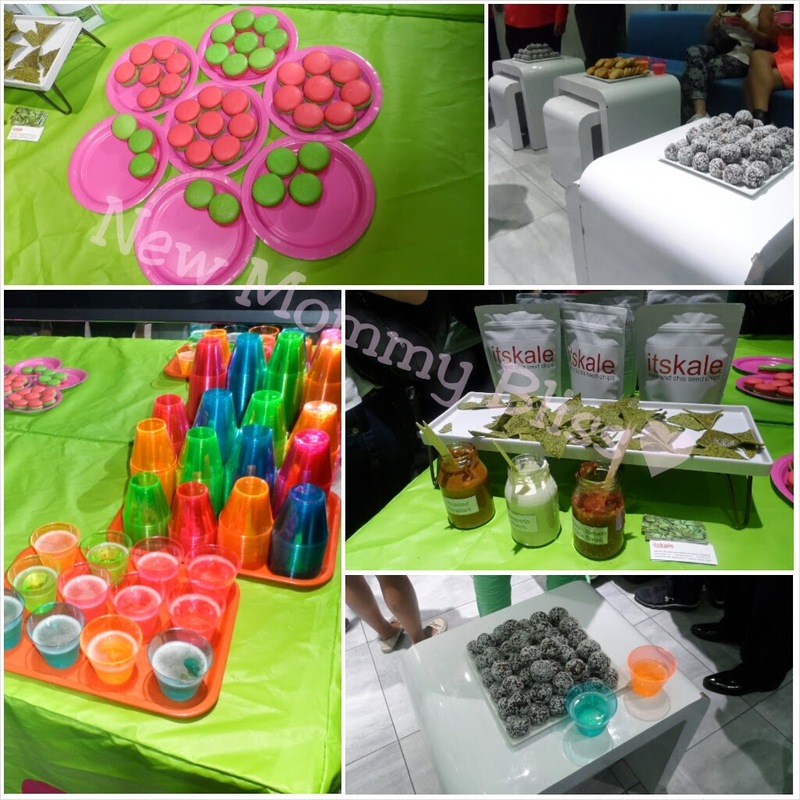 Mid Party, we heard from the CEO (or CE-YO) of 16 Handles, Solomon Choi! Totally Matching with his amazing Store! Mr Choi told us all about how 16 Handles came to be, how he started the business at the start of the recession while also being opened in the middle of 9 other Frozen dessert shops within a 4 block radius and a whole lot more! 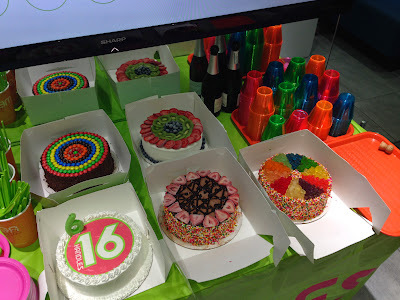 You'll be pleased to know that 16 Handles is now getting into the amazing Ice Cream Cake Business. 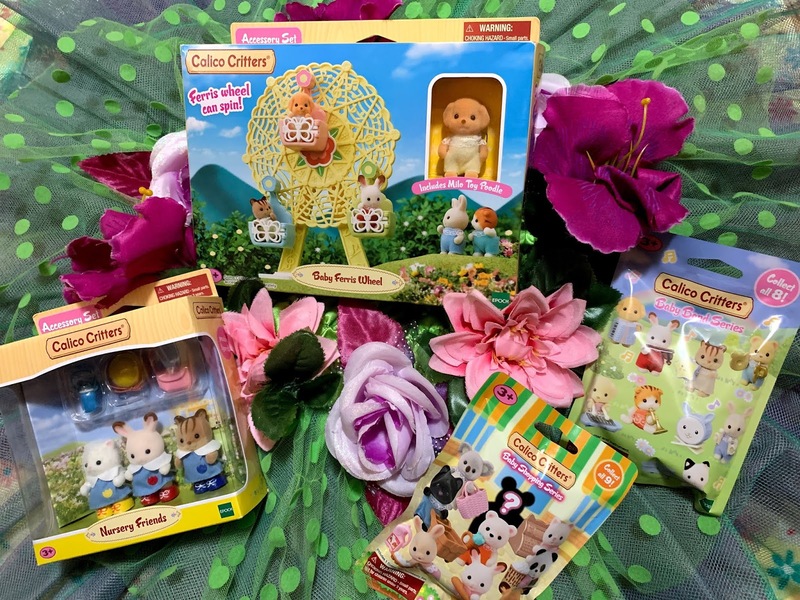 Not only are they CUTE, but they are Delicious!! LOVE the way these Ice Cream Cakes are Decorated! While everyone was getting Checked-in to the event, we all received a ticket. That ticket was meant for use on this cool spinning wheel. Being as I usually win small things in these games (or nothing at all), I game it my hardest spin. Guess What......... I WON! 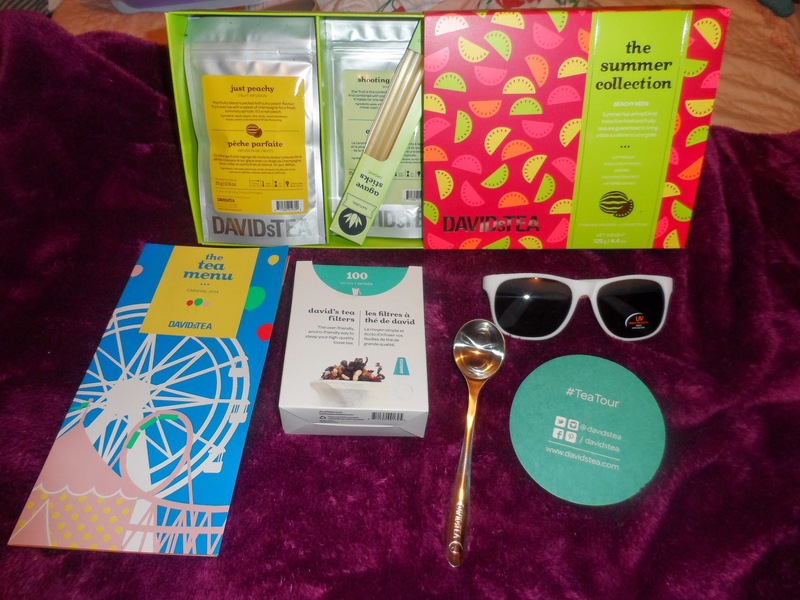 I was the winner of a really awesome Gift Bag from Davids Tea! To be quite honest, I am NOT a Tea person, but this Summer Collection Tea was just too sweet smelling to pass up! Sweet Enough, I was able to bring home a Mega sized Cup filled with Coco Loco and SPIKED So Fresh Mango Sorbetto, along with a small cup of Cookies and Cream Fro-yo for my Little Fro-Yo Obsession-ista! Once we were ready to leave we were asked for our Size in shirts and then Given our Swag Bags. I may have chosen like 2 Sizes too big, but that's nothing my Crafty skills can't fix! It was a Great Party! It was fun socializing and meeting new people! 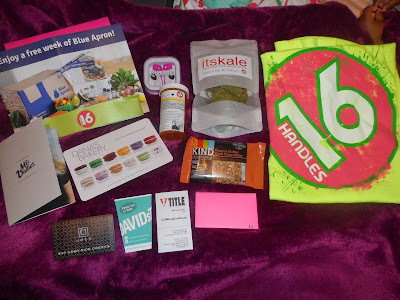 I wish 16 Handles the Best of luck and hope the company continues to grow and be VERY successful! HAPPY 6th BIRTHDAY 16 HANDLES!